Signatures gathered by a group seeking to increase Missouri’s tobacco tax by 60-cents are being reviewed by the Secretary of State’s Office. 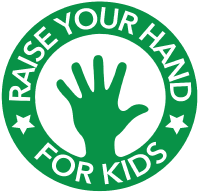 Raise Your Hand for Kids Executive Director Linda Rallo says her group has collected enough signatures to ask voters in November if they would support a tax increase to help fund early childhood health and education. Rallo says the group has asked for higher tax increases in the past, but those attempts have failed. “Sixty-cents is probably the high level of the threshold, but we are doing a 15-cent phase in over four years. So, it’s not an extreme tax,” said Rallo. The measure also aims to help pregnant moms and youth quit smoking. The State Auditor’s office projects that the tax would raise about $300 million annually. That projection is being challenged by the Missouri Marketers and Convenience Store Association, which is also seeking to increase the tax. That group wants to increase the cigarette tax by 27-cents to help fund work on the state’s roads and bridges. A court decision on that challenge is pending.